Apple to let you trade-in your old iPhone for cheaper iPhone 5S? It looks like Apple is about to jump on the trade-in bandwagon in its dedicated stores, with reports suggesting a program will be in place in time for the new iPhone launch next month. Apple is apparently in final preparations to launch its iPhone trade-in program next month, or so say "sources with knowledge of the intuitive" over on 9to5Mac. The program would allow owners of older versions of Apple's handsets - the iPhone 4 or 4S for example - to bring them into an Apple store and swap them for a shiny new iPhone at a discounted price. While this concept has been around for years at various retailers, this is the first time Apple Stores would offer the deal. It seems that Apple is keen for as many people to buy the new iPhone direct from its stores rather than going via a network or high street retailer. Apparently 80% of all iPhones sold are outside the Cupertino firm's stores, so there's clear money to be made with this new scheme likely to aid home-grown sales. 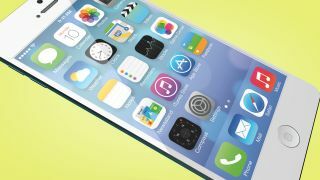 We expect Apple to launch the iPhone 5S and possibly the cheaper iPhone 5C next month with September 10 being touted for the 5S launch date, where we may see official confirmation of the trade-in program too.